We all want to feel safe in our homes. 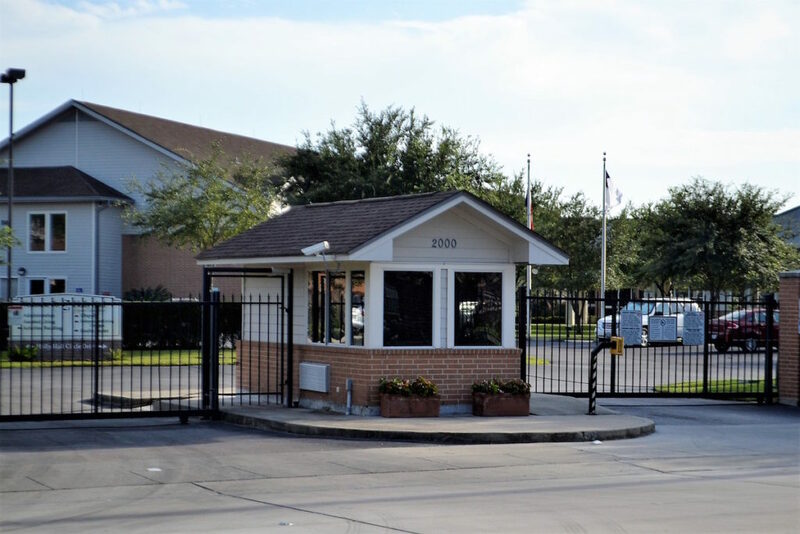 If you own or manage a gated community, apartment complex, HOA or other residential living situation, you know that the safety and security of your residents is your number one priority. Communities throughout the country have recognized the increased need for security protection and crime prevention. Have you taken the necessary steps to protect what matters? Off Duty Officers has been one of the leading providers of residential security services for the last 25 years. Our team of security professionals is comprised of off-duty law enforcement officers and military personnel. With their extensive training, they have the skills to keep your property and residents safe, while also delivering the peace of mind you need. From providing access control services to managing emergencies, our professional residential security guards act as a watchful eye protecting your residents. Gated communities, apartment and condo complexes, HOAs and other residential living communities share some of the same common threats. The greatest security threats include property theft and burglary, break-ins, vandalism, assaults and loitering. Alarm systems and electronic gates are sound security measures; however, they do have their limitations. An effective residential security program should include on-site, professional security guards. The guards at Off Duty Officers understand the most pressing threats against a residential community and its residents. They also understand that every community is unique. Our armed and unarmed guards know the importance of learning the unique characteristics of your property, buildings and residents. We work with you to consider these factors and develop a plan for identifying and mitigating safety risks. Your entry gates are the doorways to your community and buildings. Without supervision, anyone can freely enter and exit your property. A professionally trained security team at your property entrances and gates will keep unknown parties out and send the message to those entering that you take security seriously. The Off Duty Officers security personnel will create this strong first impression, while still being that friendly face that your residents appreciate. Our residential security guards can check identification, maintain visitor lists, open or secure gates at designated times and provide resident and visitor assistance. Patrols keep your property and residents safe from potential risks as well as providing detection of security issues that are happening now. Our security guards can perform regular or irregular, foot or vehicle patrols on your property and around the perimeter to ensure that all potential threats are detected in a timely manner. Your residents will feel confident knowing that there is always someone present in the event that their safety is at risk. Residential security patrols also serve to enforce community rules and regulations that are meant to keep your residents safe. Security personnel can monitor traffic and parking controls, identify suspicious behavior and enforce noise ordinances. In the unfortunate event of an emergency, residential security guards can serve as first responders to any unusual or dangerous incident. Their training and expertise allows them to secure the scene quickly and collect the necessary information that will assist law enforcement when they arrive on the scene. Off Duty Officers’ security guards also help law enforcement by ensuring that police, fire or medical personnel find the scene efficiently, so no time is wasted. Security guards can also aid in maintaining the integrity of the scene by keeping vehicles and other residents at a distance, allowing emergency responders to do their work. Safety and security is important anywhere, but especially at home. Prevent unfortunate security issues by hiring the best residential security team for your community, apartment building, HOA or condo. Off Duty Officers provides the most highly-trained and experienced off-duty law enforcement and military personnel in the nation. We partner with our customers to create security solutions that are customized, comprehensive and affordable. When you decide to work with Off Duty Officers, your security becomes our greatest concern. Off Duty Officers specializes in residential security. We offer armed or unarmed guards for short or long term assignments all across the United States. Contact Off Duty Officers today for a quote on expert residential security for your property.